South Burnett residents shouldn’t be alarmed if they hear more aircraft than usual flying about at night over the next few days. The RAAF will be conducting some training exercises near Wondai. 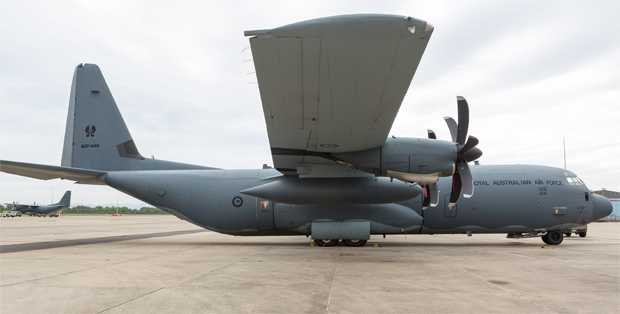 C-130J Hercules aircraft will be conducting night and weekend training missions in Queensland and NSW as part of the No. 37 Squadron Tactical Training Exercise, from Friday (December 7) to the early morning of Thursday (Decemfer 13). The Tactical Training Exercise is the culmination of six months of C-130J Hercules training for a group of instructors, co-pilots, and loadmasters. The activities will involve a variety of airdrop operations, tactical airfield landings, formation and low-level flights. The Tactical Training Exercises are the final missions before RAAF personnel apply their skills on real operations around the world. Individual trainees have spent more than 100 hours in simulation before validating skills on live training missions. Flying sorties will take place between 1:00pm and into the evening until 12:30am each day, including weekend flying.